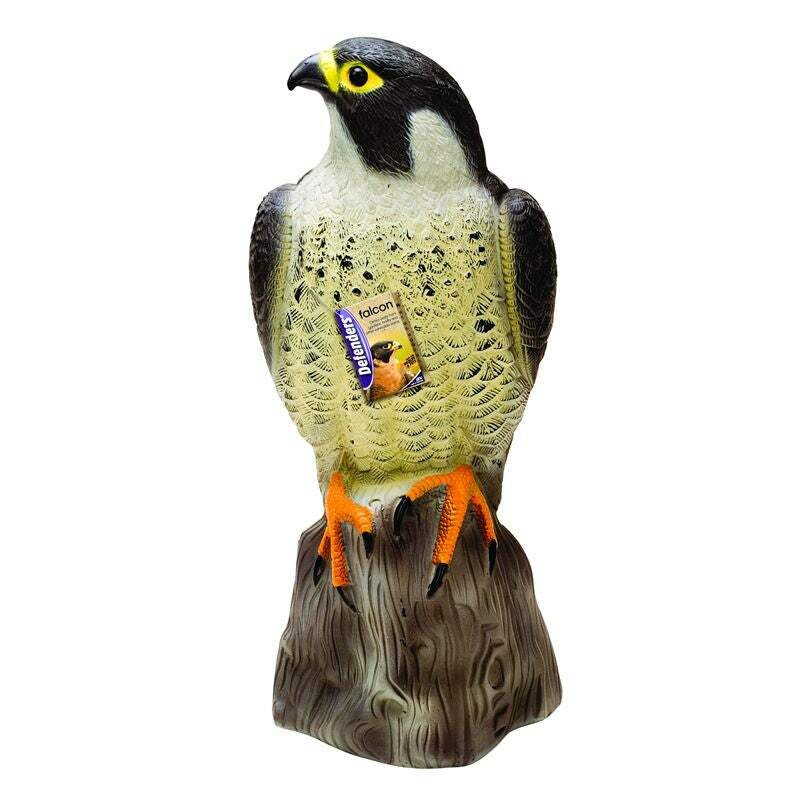 This decoy Falcon will provide a formidable bird and pigeon deterrent / repeller for your garden. The Falcon bird of prey is a natural predator for many birds and this Falcon decoy will naturally and harmlessly scare them away. The 14" tall Falcon strikes a powerful figure in its natural colouring to keep bird and pigeons away. Complete with bung in the base that allows the hollow Falcon decoy to be filled with sand or soil to add weight for stability. Get a bird free garden or vegetable patch with this Falcon decoy.